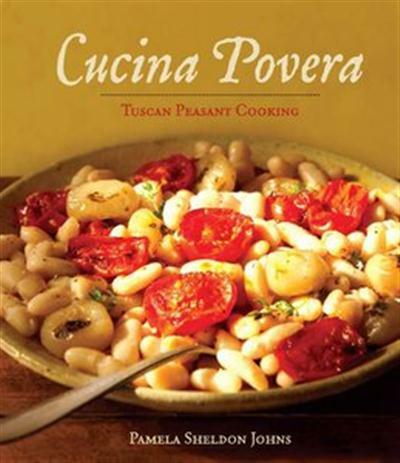 Italian cookbook authority Pamela Sheldon Johns presents more than 60 peasant-inspired dishes from the heart of Tuscany inside Cucina Povera. This book is more than a collection of recipes of "good food for hard times." La cucina povera is a philosophy of not wasting anything edible and of using technique to make every bite as tasty as possible. Budget-conscious dishes utilizing local and seasonal fruits and vegetables create everything from savory pasta sauces, crusty breads and slow-roasted meats to flavorful vegetable accompaniments and end-of-meal sweets.